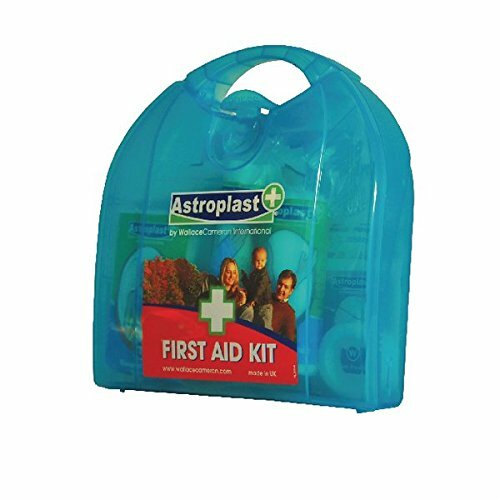 A first aid kit is a collection of first aid items you would need in case of an accident that requires basic medical treatment. 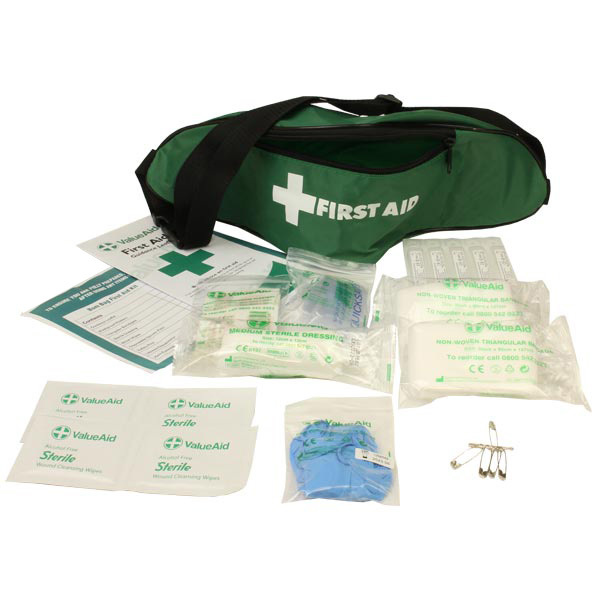 At First Aid 4 Less we offer a comprehensive range of first aid kits to suit your needs. 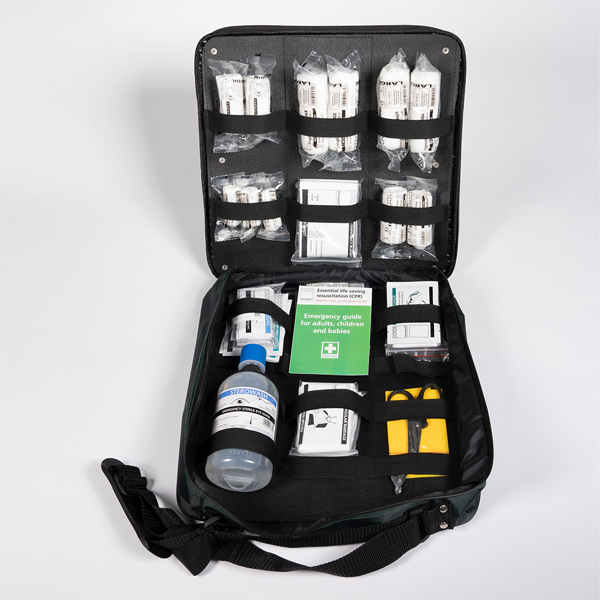 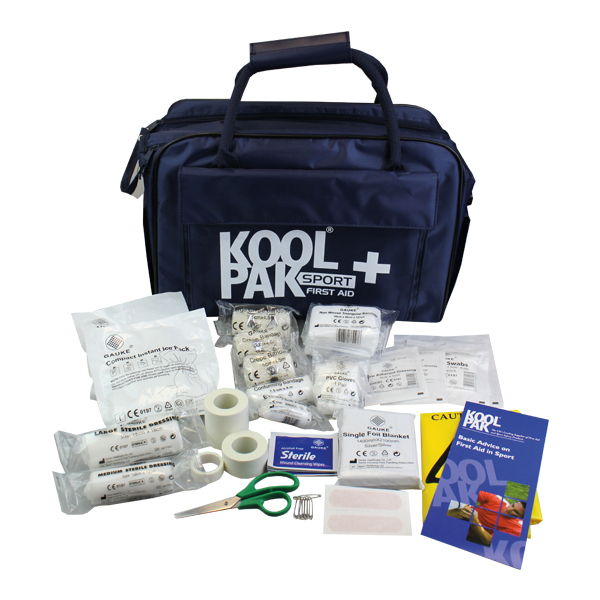 Our HSE Compliant Kits comply with the recommended content as set out in HSE First Aid Regulations. 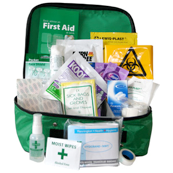 We also supply BS8599-1 Compliant Workplace First Aid Kits that exceed HSE recommended contents and comply with the latest British Standards. 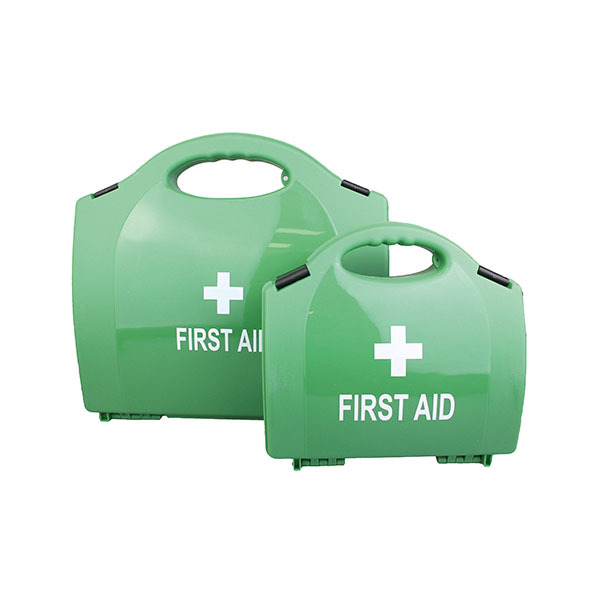 Fully compliant with HSE statutory requirements – From as low as £6.95! 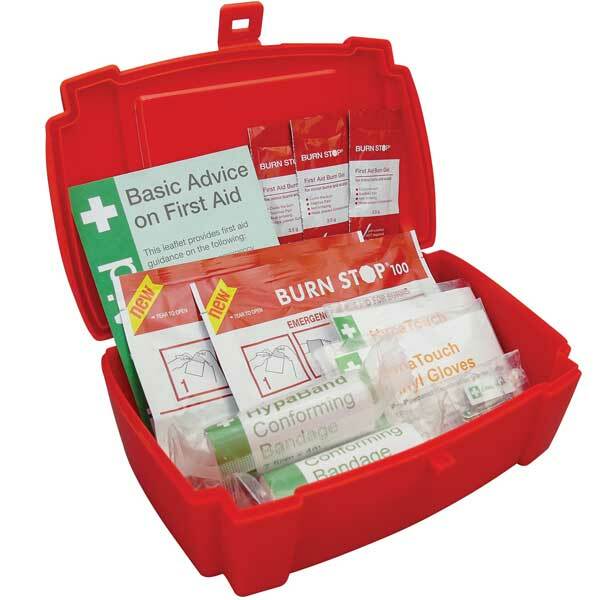 Exceed HSE statutory requirements and comply with BS8599-1 – From Only £14.95! 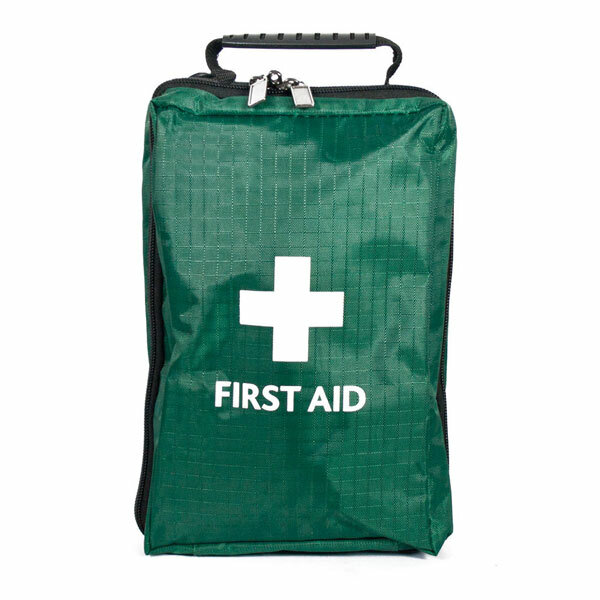 Emergency first aid is an essential skill for people in every walk of life, but without sufficient equipment the help that can be given in what might be a life threatening situation is going to be very limited. 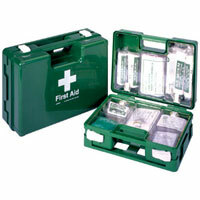 Even basic first aid can make a real difference, and a mini first aid kit for your handbag or rucksack is a good idea. 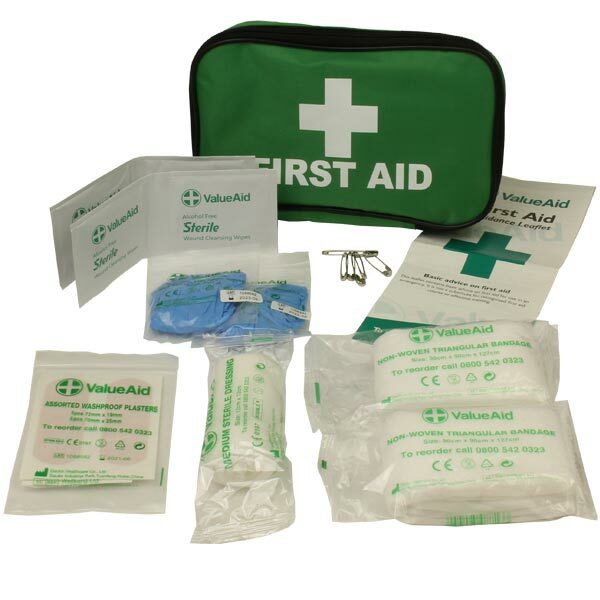 Gloves are very important for first aid kits and necessary to carry out hygienic first aid. 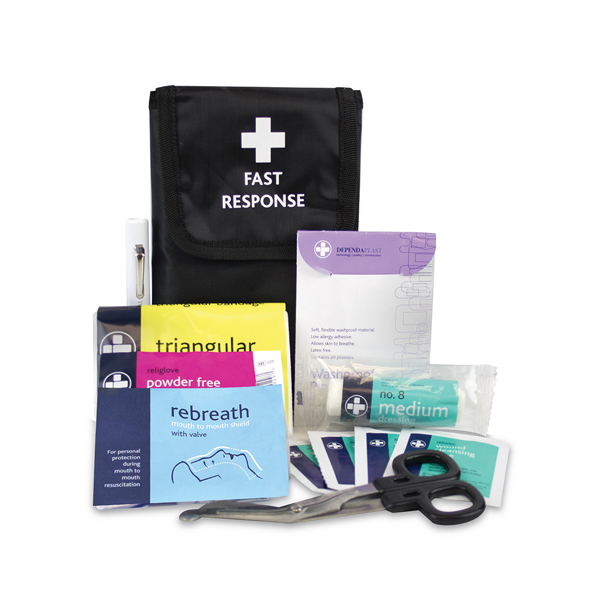 Most of our kits have individually wrapped gloves that are well-fitted allowing for a good grip whilst providing first aid. 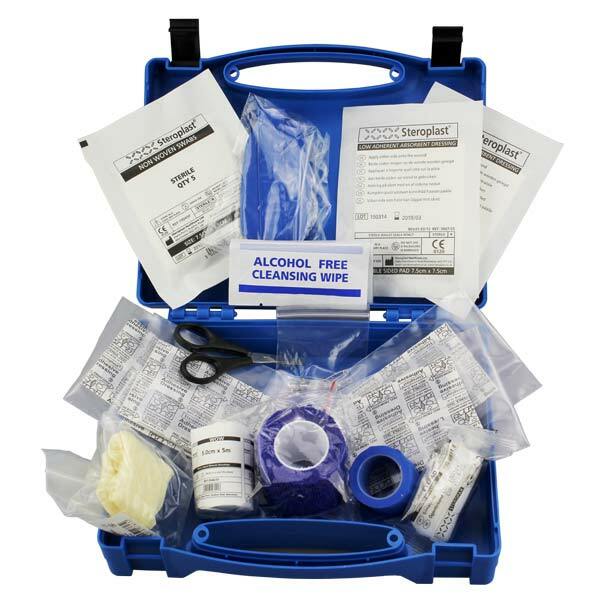 Wipes can be used to clean both the wound and first aider’s hand and should always be among your first aid kit. 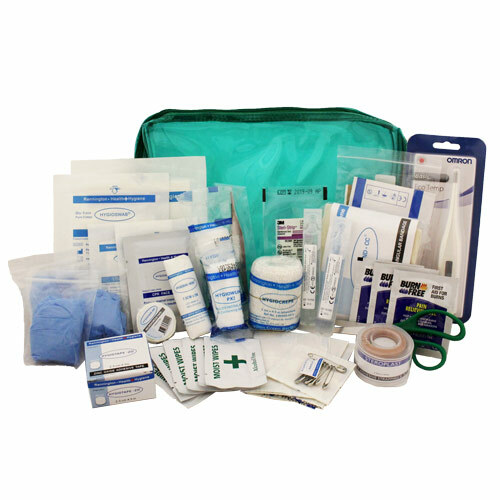 For wounds ranging from minor cuts and scrapes to larger more serious injuries you will need a variety of dressings in your first aid kit. 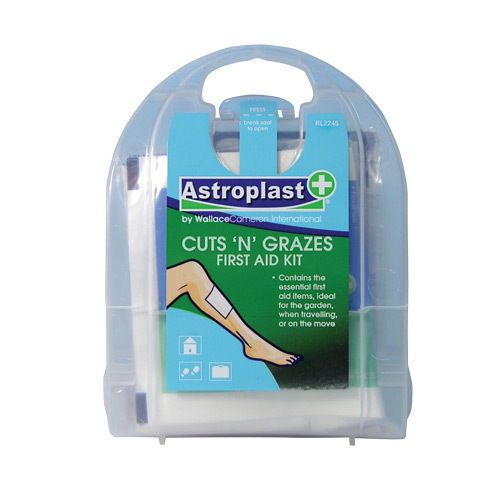 All of our kits include hypoallergenic plasters. 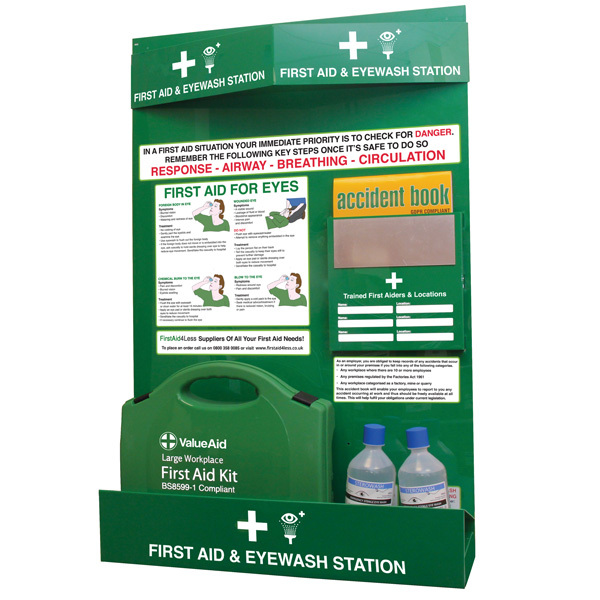 The exact needs for first aid boxes at work will vary depending on the nature of the business. 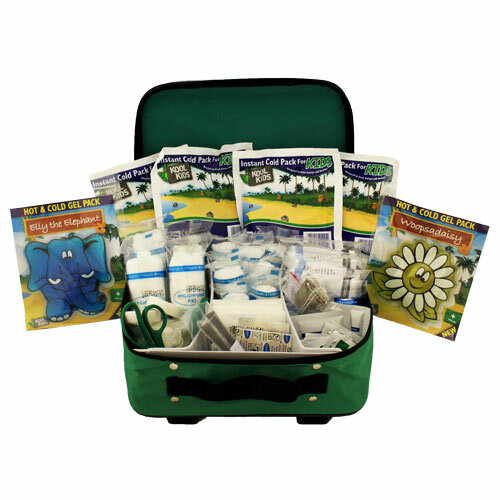 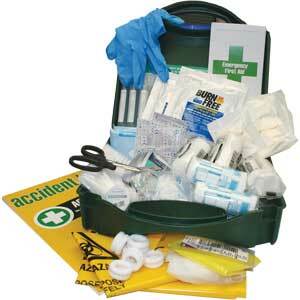 We have a huge range of HSE and BS85991 first aid kits to suit your needs. 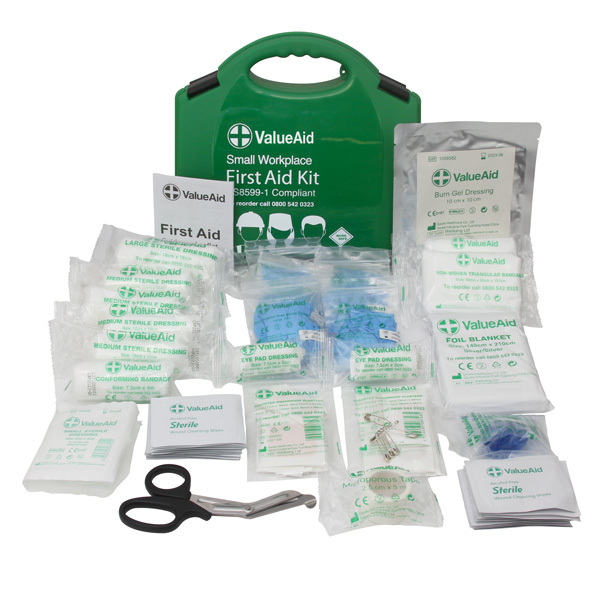 All of our HSE and BS85991 Compliant Kits comply with the recommended content as set out in HSE First Aid regulations. 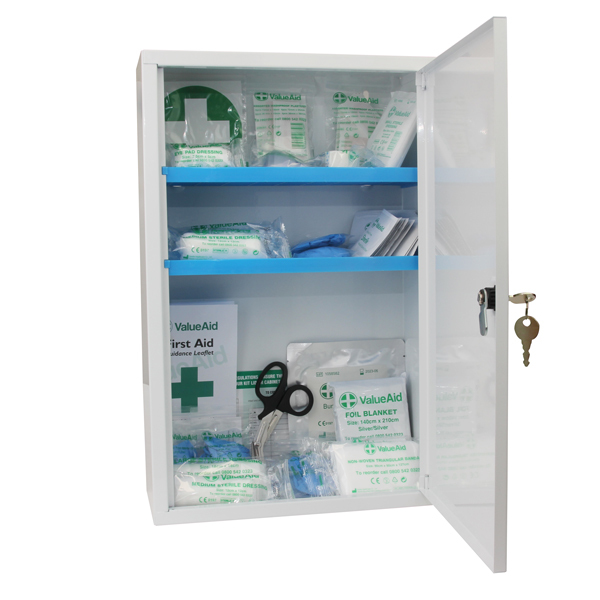 Some of our first aid kits come with wall brackets making them easy to store in your workplace Most of our aluminium kits are lockable and come with spare pair of keys. 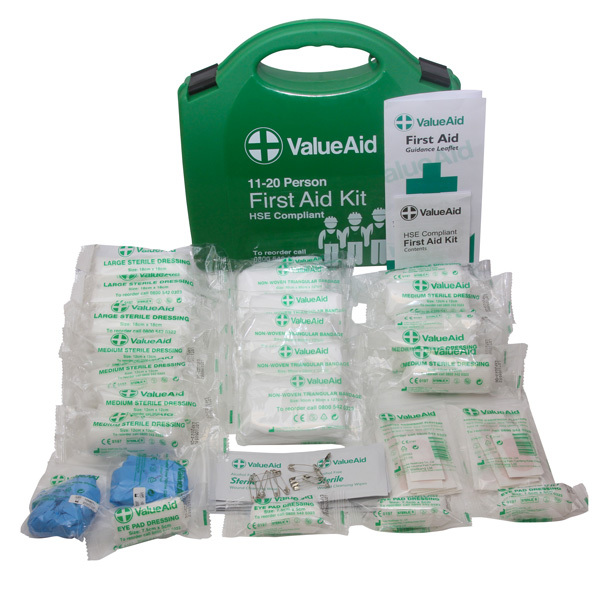 It is important to advise that none of our first aid kits are supplied with paracetamol, so if you need, please buy separately. 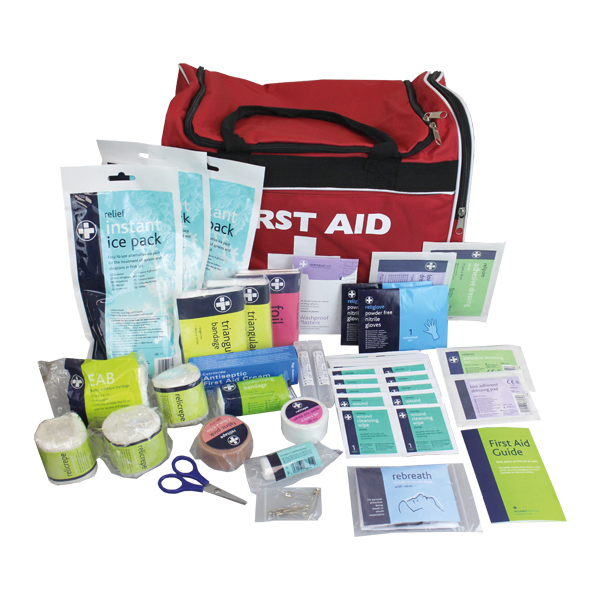 If you're planning an adventurous trip, take a look at our survival kit list and check you're prepared with appropriate adventure medical kits and sports first aid supplies. 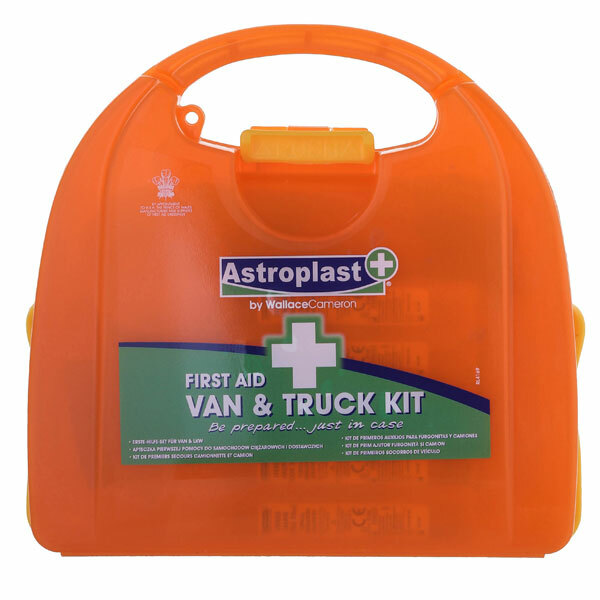 It’s worth keeping a basic first aid kit in your car, or even a full survival kit - a car first aid kit can double as a travel first aid kit when you're out and about, but a road accident may require more of an emergency kit.